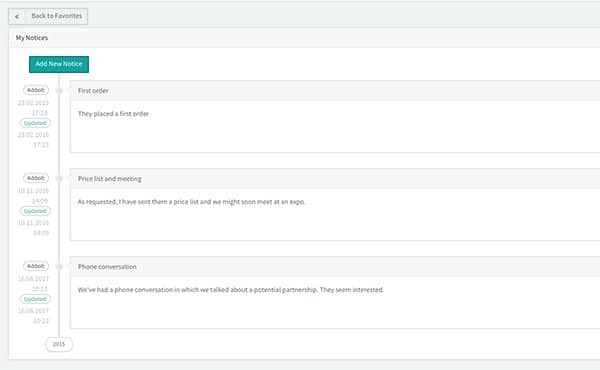 The intuitive dashboard is one of the first things you’ll notice after you log in. 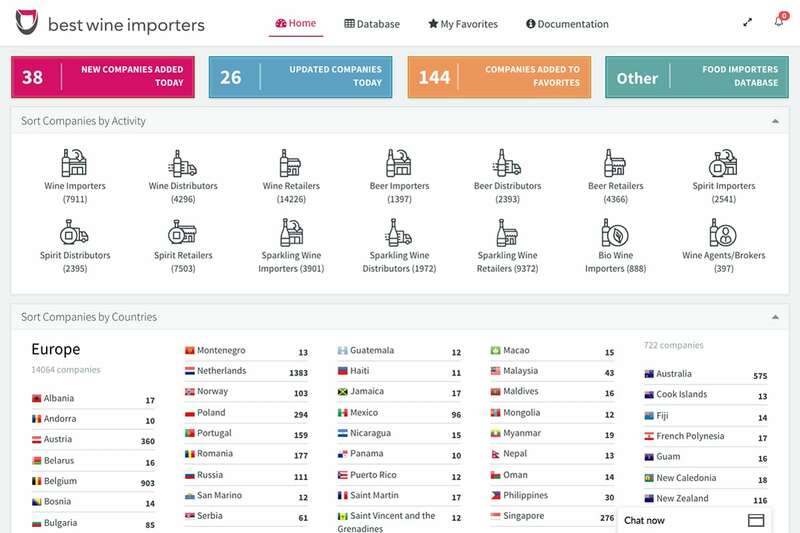 A quick look at the numbers here and you’ll be able to see the most recent importers and distributors that have been added and be among the first to get in touch with them. Our databases include advanced filtering options which allow you to target the companies that are interested precisely in the products you’re offering, increasing the chance of finding the right match. 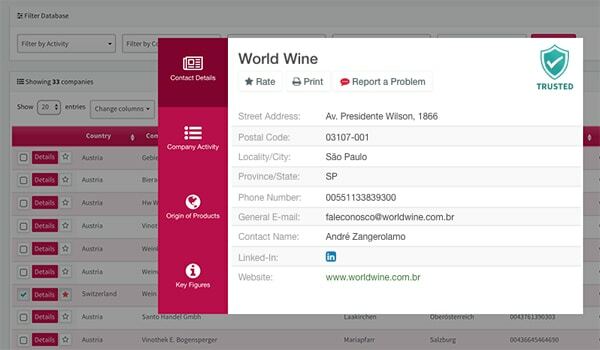 You can select between wine, beer and spirits importers, distributors or retailers, depending on the database that you purchased. 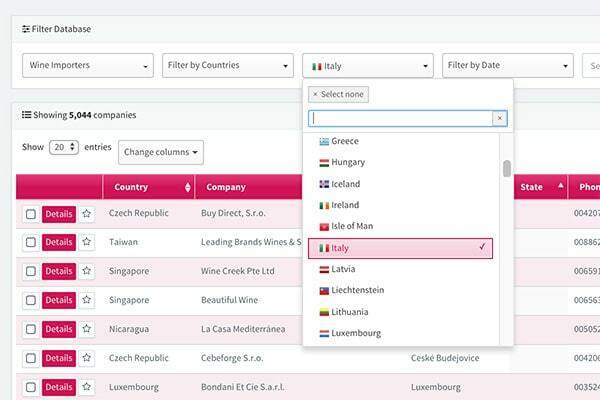 BestWineImporters is the only database that offers the possibility to filter the companies which import wine, beer or spirits that originate from a selected country (ex. 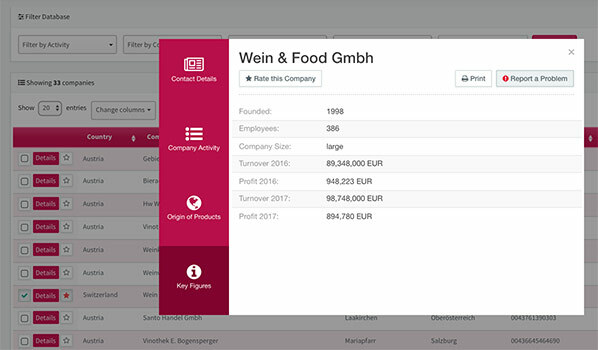 view companies that import wine produced in Italy, Belgian beer, etc.). 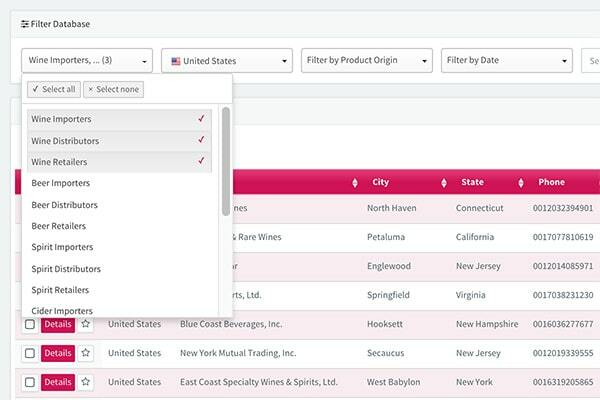 Users can also select the country in which the importers/distributors are located or the date when the entries were added to our database. 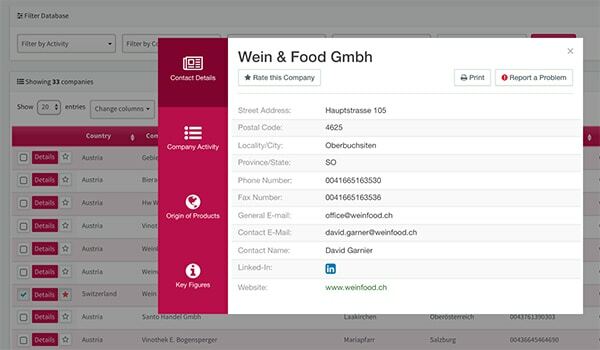 For a few hundred companies from our database we also provide information regarding their reputation. The presence of the green “Trusted” badge means that for that importer our team did extra investigations and obtained positive reviews from some of their former and actual business partners. The interviews focus on the reputation and payments history of the importers. 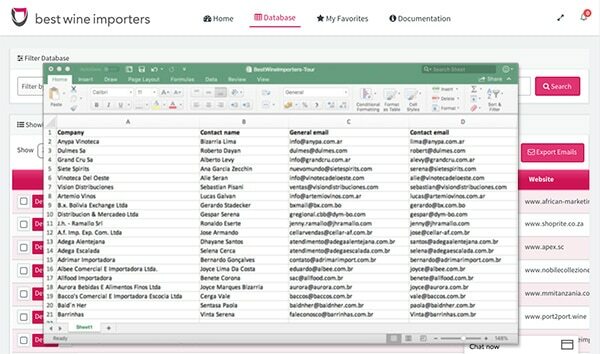 If you’re interested in the top importers from a specific country you can create a list using the following information from our database: sales figures, profit, financial details, year established, size and so on. For every company included in our databases we provide complete and up-to-date contact information including: company name, phone number, fax, email address, website address, headquarters (country, city, street, postal code).